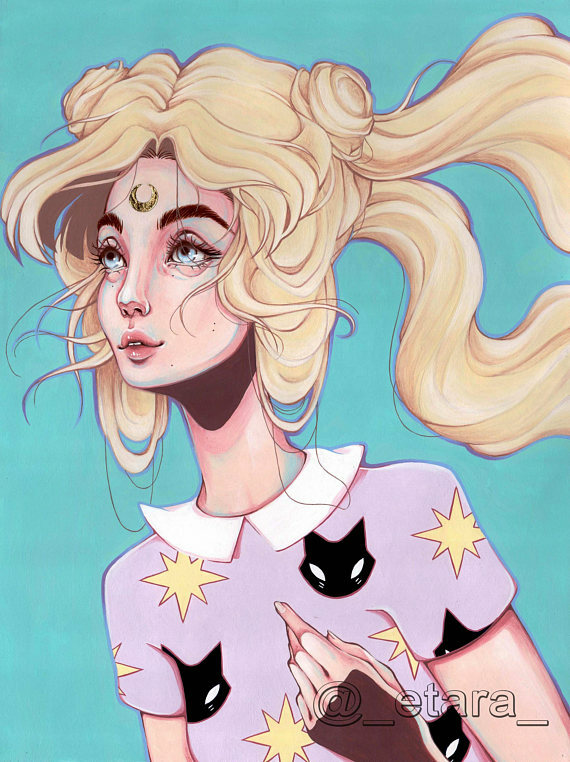 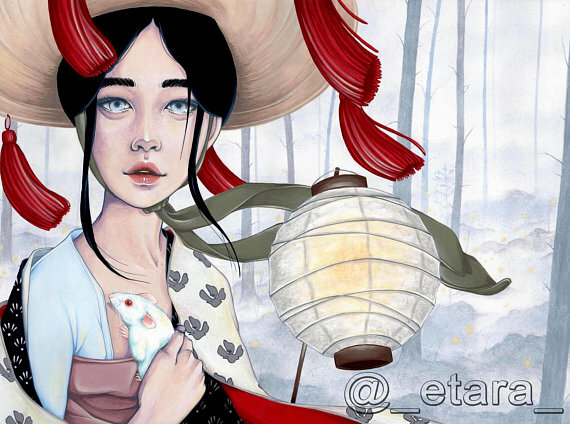 Etara is a fine artist and illustrator currently based in Italy. 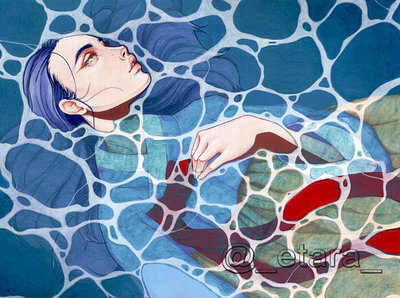 Although she has achieved a Manga Techniques graduation, she focused on the study of acrylic colors and specialized in the representation of surreal female figures. 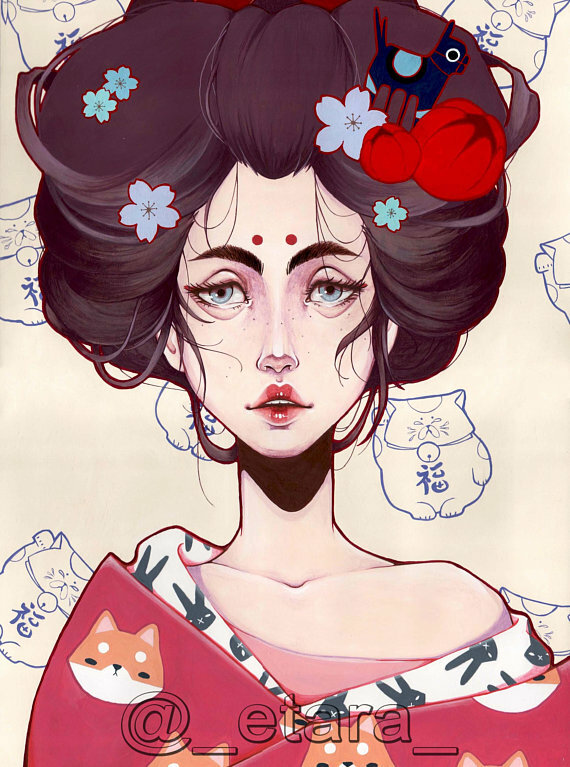 Her art takes inspiration from natural elements, animals and oriental culture. 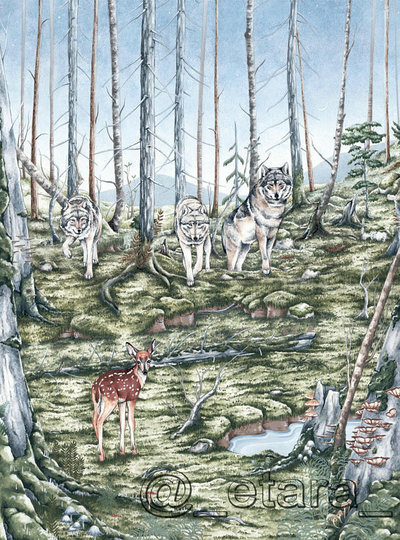 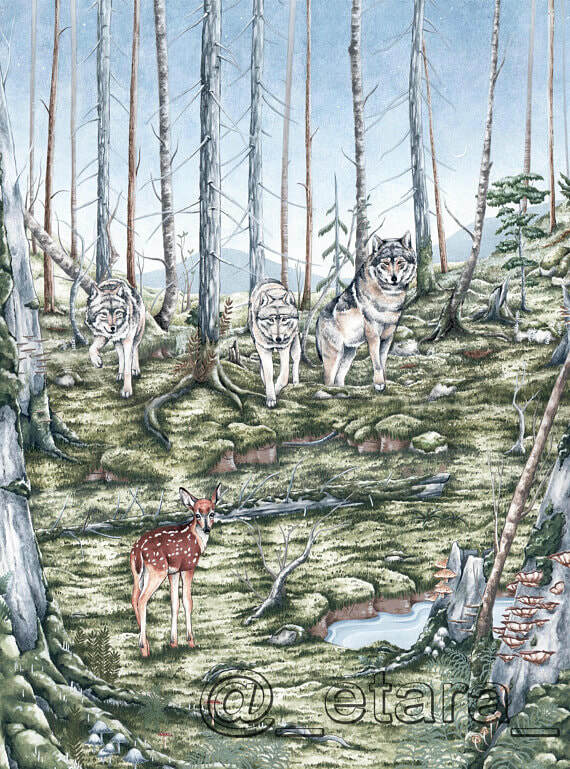 Her goal in creating her illustrations is to convey to the viewer a feeling of harmony, in particular with attention to the bond created from humans as an integral part of nature. 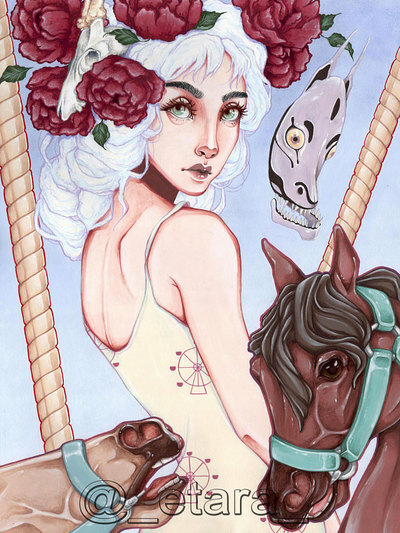 The central themes of her works often concern the symbolism of animals, natural and surreal elements united together with the purpose of creating a window in an alternative and dreamlike world.